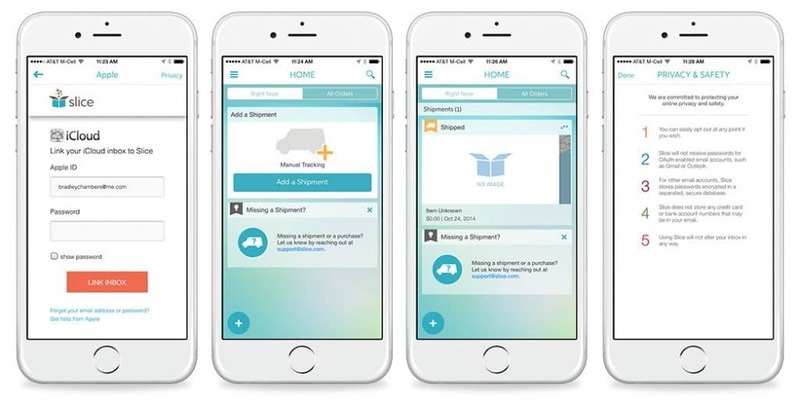 If you’d like to install a good package tracking app on your smartphone or tablet (any device operating on Android, basically), then check out our list of useful resources. These are our best 5 proposals for a package tracking app that will allow you to keep tabs on your deliveries in real time, without much fuss. They can sometimes even help with how to track a package without a tracking number. So, without further ado, these are our favorite means to track packages, ideal for all users who have parcels delivered to them often. They are presented by order of price, from the cheapest ones (which are free) to the costlier ones. This is the standard free option which you can install on any device that runs on Android. It has the advantage of being not only free, but also very easy to use – no extra features, just the basic fields and results. In order to find out where your package has been, you need to enter its tracking number in the required field, and then choose from a few popular tracking services to locate it. Though the app is, as we mentioned, pretty basic, the results include a nice looking map which shows you the package’s path to you, the already completed part of the journey and what still remains of it. If you’re usually not very good at handling technology and software, you should think of choosing this one. You can find it on the iTunes online store. This second option, a bit more advanced, is also a free app, suited for iPhone platforms. You can download Slice for free from iTunes, as well. If you use Slice, you won’t have to bother entering the package tracking number manually: just connect the package tracking app to your Google or Yahoo account and it will automatically detect anything that needs to be tracked. As the app will track your deliveries, it will also give you push notifications of when the parcels are due, it will track how much money you are spending for your online services and shopping, as well as give you extra info on each product (including specifications). Also, the app will allow you easy access to an electronic list of receipts and return options, so it almost works as a personal assistant on all things delivery-related. With this third option, we are heading into the territory of non-free apps. 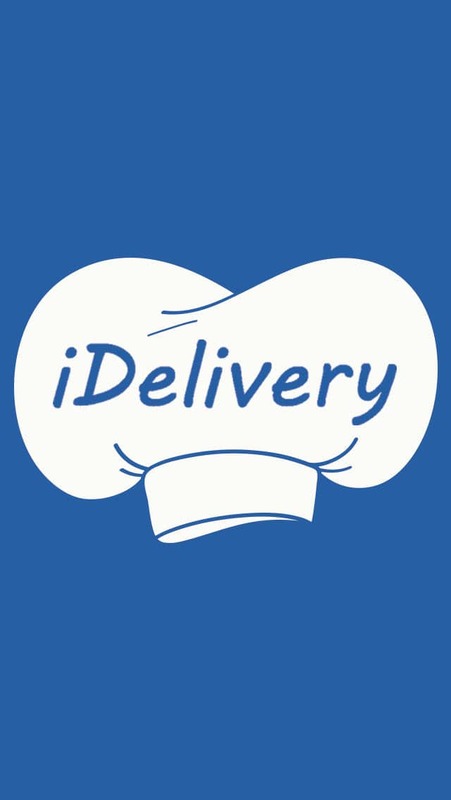 iDelivery can be purchased from the iTunes store for $1, it offers compelling visuals (the maps are really something else and you’ll truly be impressed of how advanced the graphics are) and easy tracking of your packages. Also, the shipping services which the app tracks are so abundant, that we bet you never even heard of some of them before. 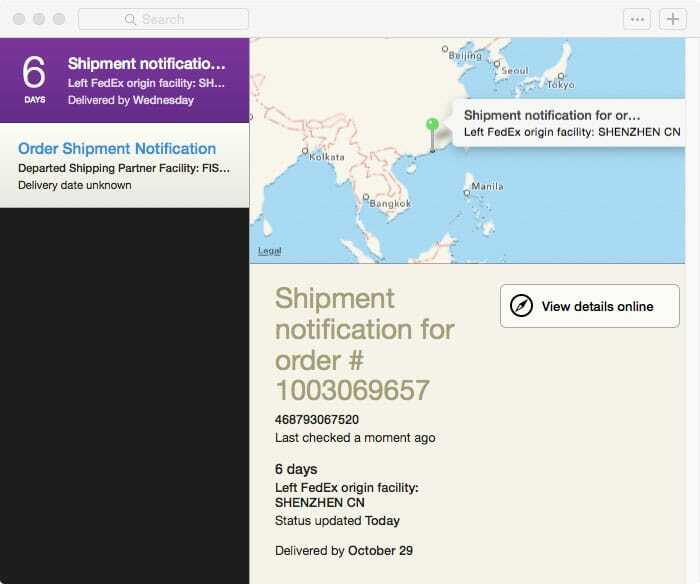 Who knows, perhaps using this package tracking app will even expand your horizons of which shipping service to use. A slightly more expensive option, the Delivery Status app can be purchased for $3 from the iTunes store. It’s an iPhone and iPad hybrid app, which means you can use it for both smartphones and tablets. Almost as easy to use as the Slice package tracking app, but with more features, Delivery Status synchs your deliveries with its servers and lets you add new parcels to track via two routes: either from the app’s web page or from an iOS widget (usable for Macs as well). Also, if you selected a package tracking number and have it in your clipboard (the virtual memory where everything you select and copy is retained), the app will automatically detect so you won’t need to actually paste it. Our last entry to the list is the Deliveries app, available in two options: for Mac and for iOS. Both versions cost $4.99 at the iTunes store, making this the most expense package tracking app on the list. It also auto-detects tracking codes, it also sends notifications of packs about to arrive, and the visuals are pretty compelling as well. For example, the app uses different color codes for different shipping service providers, so you can know who to expect in just a glimpse at the screen. It’s particularly useful if you tend to shop online a lot, since it also features a “Today” view of your dashboard, to let you know of the packages which are incoming very soon. Hey Buddy!, I found this information for you: "The 5 Best Package Tracking App Options". Here is the website link: https://all2door.com/package-tracking-app/. Thank you.